The washing machine is forgiving. Things can survive in the wash, even the spin cycle, without incident. The dryer, on the other hand, is merciless and does not forgive. In the heat and tumble of the dryer, crimes of neglect are made plain. Pens explode. Crayons melt. Gum and candy turn to cement. Wives glare. Cats yowl. Dogs cower. If domestic chores were policed, my third strike would be a distant memory. In Domestic Task Penitentiary, I’d take the high road; I would turn my life around. Instead of making a shiv to kill my cell mate (washed delicates in hot water), I would share my life with the world as a cautionary tale. I’d tour schools to teach children about dryer cleaning. Below you will find two things: how one man repaid his debt, and how to clean a dryer. 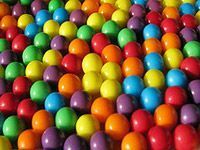 Gum or candy. I don’t look like the kind of guy who forgets about candy, but it happens. First, scrape off what you can using a credit card or spatula. Next, put on a face mask or respirator and gloves. Completely wet a dryer sheet and place it on the gum or candy. Let it sit for 10-20 minutes. It should be very easy to wash away after that. It works so well because dryer sheets contain strong, toxic chemicals. Don’t use them on your clothes. Use them to get a clean dryer. Ink or Dye. Dryers are probably the greatest fire hazards in most homes. That is why, when dryer cleaning, I stay away from flammable solvents whenever I can. While it’s not exactly environmentally friendly, I break out the bleach to clean a dryer soiled with ink or dye. Soak an old white towel or rag with bleach and water, throw it in the dryer, and run it for 20 minutes on the “air fluff” setting (heat will set some inks). Make sure to take safety precautions (mask, gloves, open windows, eyewear). The ink should be gone after a few cycles. Leave your dryer open afterwards to let it air out. Melted crayon. To clean a dryer dirtied with crayon, you’ll need an abrasive cleaner (Comet or Bar Keeper’s Friend found at any grocery store), a sponge or rag, and lots of elbow grease. First, scrape off the large chunks. 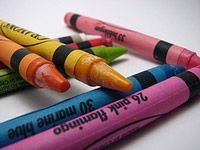 Next, run the dryer for 10 minutes to soften up the crayon. Throw some of your abrasive cleaner on your wet rag or sponge, let loose a battle cry, and scrub. Use a paste of water and your cleaner with a toothbrush to get into the crevices. When finished, get rid of the excess cleaner and crayon residue with a fresh damp cloth and dry it with another. Run your dryer for another 20 minutes to see if any crayon melts out of crevices. If it does, repeat the process. Rust. To clean a dryer with rust problems, you first need to attack the source with a fine steel wool or sandpaper. The rust spots need to be smooth and even with the surrounding area. Afterwards, clean that mess out with a mild soap and water. 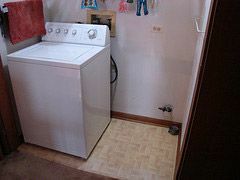 Lastly, apply appliance paint to renew and protect the dryer drum. The product will depend on whether you’re dealing with porcelain or baked enamel (more common). 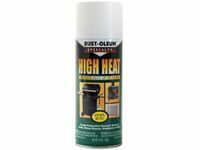 These products can be found at any hardware store or big box store. Whichever item you choose, read the directions carefully – these products are highly flammable. Clean dryer vent. 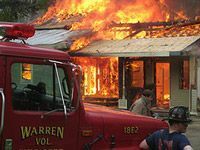 Dryer vents cause nearly 16,000 fires annually in the United States. That’s alarming, sure, but dirty, obstructed dryer vents are also inefficient. They waste money. You should clean dryer vents and ducts 1-2 times a year. I don’t have the room to describe this process here, so follow the link to learn how to clean a dryer vent. Dryer drums and exteriors. 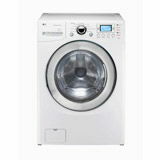 Regular dryer cleaning shouldn’t involve anything more than a mild soap and warm water – both for the dryer drum and the exterior. You don’t want to get into heavy duty cleaners around the dryer, especially if your machine is gas powered. Avoid messes and hazards by keeping your dryer free of your clothes and other things; your dryer isn’t a counter. 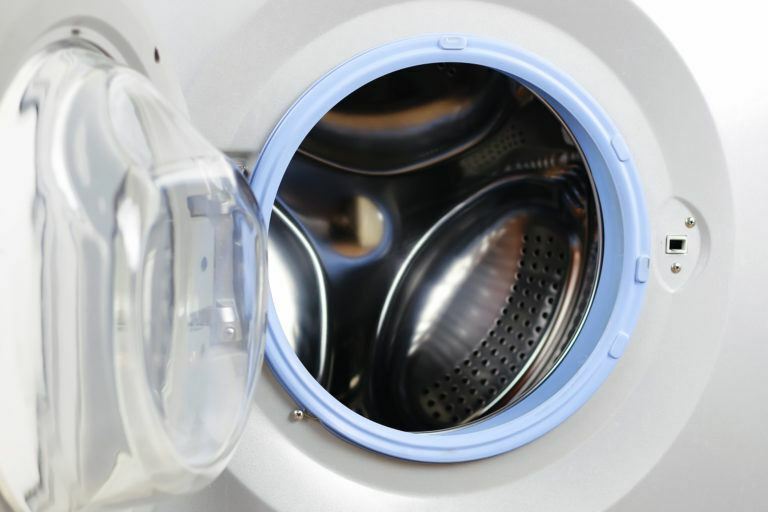 Be sure to clean both underneath and behind the dryer every few months or as the need arises. Using too much soap will leave residue, which attracts lint and makes a mess. Dryers are a hassle to clean, but they are a burden for other reasons as well. They cost loads of money up front, and then there are the repair and energy bills. Dryers also present a significant fire risk. Why not just wear wet clothes? Well, you do have options. You could take advantage of a zero-emission, no-cost dryer: the sun. If you live in a warmer climate, you really have no business owning a dryer. If you live in an unforgiving climate as I do, you can line dry inside (natural humidifier) or go to the laundromat. Laundromats are great places to meet people in the neighborhood, even if they are a bit strange. Dryer Sheets and fabric softeners. Stay away from them. Consumers in this country are not as well protected as they would like to believe. Benzyl acetate, ethanol, chloroform, linalool, camphor…the list goes on. These are the dangerous chemicals in our dryer sheets and liquid fabric softeners. What’s more, they become even more toxic when heated – as in a dryer. Find organic alternatives. If you like your clothes to smell nice, add a rag with a few drops of essential oils to the dryer. 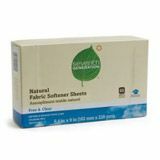 Find the green alternatives to commercial dryer sheets (Seventh Generation) or risk bad karma and health problems. Energy Efficient Dryers. My neighbor’s major hobby is efficiency. It touches every aspect of his life, including drying clothes. He owns an LG washer/dryer combo that runs solely on a 110v circuit and does not require gas or a vent; it dries using condensation. They don’t even always use this low-emission dryer. During the winter months, damp clothes on a drying rack serve as a natural humidifier. In the summer, of course, they use the sun to dry clothes. Motsenbocker’s Lift Off #3. 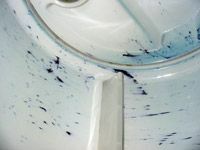 Most of the solutions used to clean ink and dye from dryers involve harsh chemicals and potential explosions. 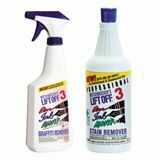 Save some brain cells and your home by using mild products like Lift Off. This particular number in the series is designed to remove ink. It’s water based, biodegradable, and versatile in its uses. You can order Motsenbocker’s from Amazon.